For decades, the Guabuliga schools have endured and compromised their right to a conducive classroom environment for effective teaching and learning. 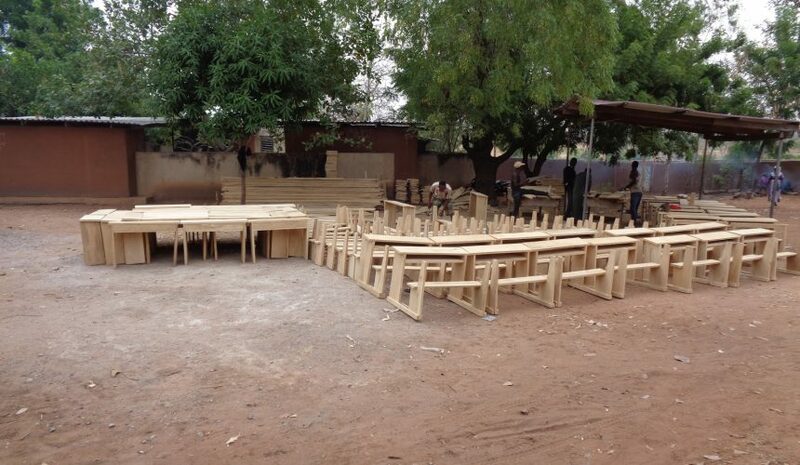 Teaching and learning has been adversely affected due to the lack of furniture and textbooks in the schools. The conditions of the various classrooms are unacceptable and do not meet standard requirements both nationally and internationally. Sadly, this trend of challenges has caused students’ performance to decline for the past years. Braveaurora has over the years sought medium to long term solution to this challenge in strong partnership with the Ghana Education Service. As a result, various supplies and support have been given to the schools aimed at taming the negative effects of this challenge on students output. To find a sustainable solution to this scourge, BA has successfully secured funding to supply 250 dual desks and over 500 textbooks to the Guabuliga schools. The BA team, community members and school authorities are elated of this “light at the end of the tunnel”. 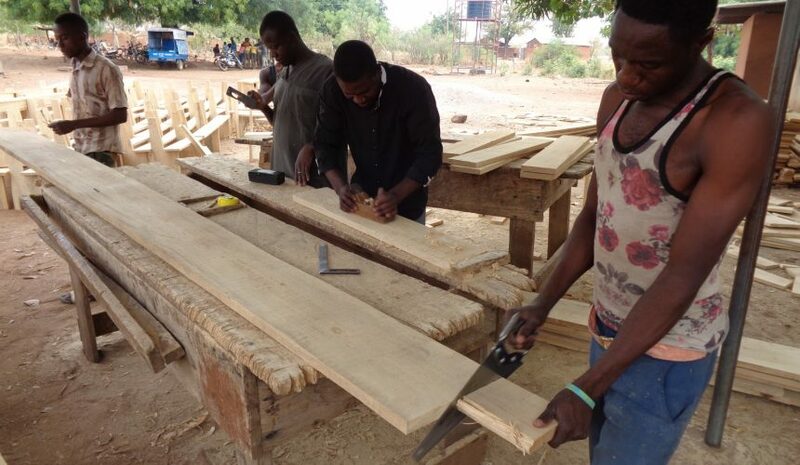 Production of the furniture has started in earnest with trained carpenters who graduated from the training centre (TC) contracted to deliver the task. 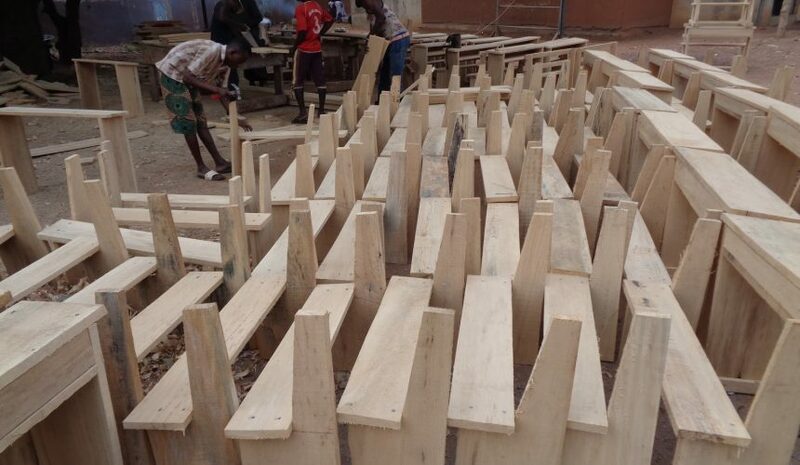 The team is optimistic that this support conjoined with sustainable measures would end the painstaking challenge of furniture and textbooks in the schools. The project also has the potency to increase students’ performance, regularity and school enrolment which has consistently declined.